Hi! 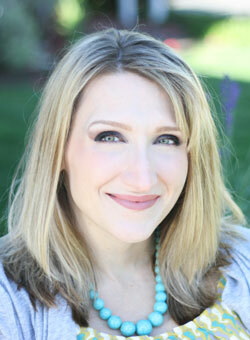 I am Summer Stone Polzel of Cake Paper Party and I love to bake! I developed a love of baking as a young girl. No one in my family really baked from scratch so I would pour over cookbooks late into the night to learn everything I could from print. I could often be found making banana bread or cakes in the wee hours of the morning (I am totally a night owl!). In school, I was a math and science girl and I went on to study biochemistry in college and graduate school. My focus often centered around nutritional biochemistry and the effects of nutrition on overall health. This heart for food and science was a foreshadowing of things to come. I have always been fascinated with food science and my culinary curiosity eventually lead me to a writing position at CakeCentral magazine where I frequently write about baking science. This work allows me to explore all things in baking that intrigue me or frustrate my baking efforts and affords the opportunity to explore extremes in recipes and methods. Pushing the limits on ingredients and challenging well established protocols helps me to understand why and how things work. I hope to share my insights and rule-breaking methods with you! I also have a penchant for all things party related. One of my great joys in life is creating fun themed parties for my children and loved ones. I get to bake, decorate cakes and other goodies and construct a microcosm of a fantasy world in their life. What could be more fun than that! I make my home in Newberg, Oregon where I have a couple of acres that adjoin a beautiful hazelnut orchard. I have two children that amaze and humble me every day. Maddie is nine and Asher is seven. 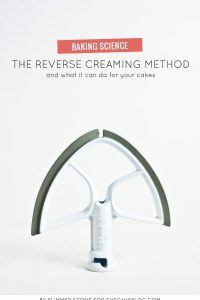 I hope to provide you with information that will enrich and improve all of your baking experiences. May your sugar jar always be full and your oven set to 350 F! Summer Stone’s articles have been published in CakeCentral Magazine. 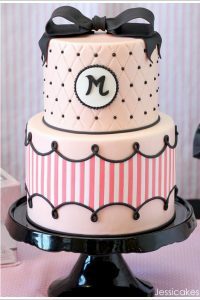 Her cakes and parties have been featured on Hostess with Mostess and The Cake Blog. 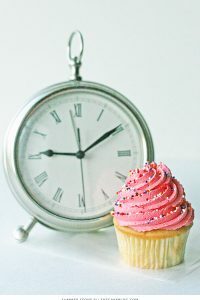 Baked To PerfectionBaked to Perfection - how baking time affects cake moisture and structure. A new baking science experiment by our contributor, Summer Stone-Polzel. Do not over bake! This warning is often found in the instruction section of a cake recipe. 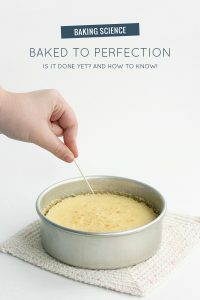 But being the skeptic that I am when it comes to conventional baking wisdom, I wanted to know if you could really damage a cake by letting it spend a few extra minutes in the oven. I decided to put this admonishment to the test practically and scientifically to determine how narrow the window of baking perfection was. 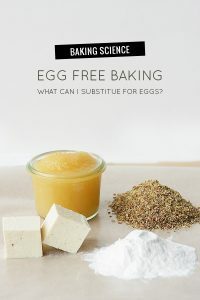 Egg Free BakingEgg-Free Baking - what egg alternative is the best substitute for cake recipes? A new baking science experiment by our contributor, Summer Stone-Polzel. People choose to make egg-free baked goods for a number of reasons varying from allergic reactivity to dietary necessity to moral conscientiousness. Whatever the reason, many people opt to bake eggless for themselves and others. There are a number of options for egg substitution that are available but which one works best if at all? Here I will cover the best ways to make a cake that is egg-free and delicious. 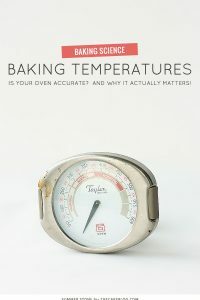 Does Ingredient Temperature Matter?Our contributor, Summer Stone-Polzel of Cake Paper Party, is back today with a new baking science experiment.... Most cake recipes prompt the baker to begin with room temperature ingredients. While I generally comply with most of my ingredients, I admit I can often be caught tossing a cold egg or chilly milk into my batter. Typically in a hurry, I would think, “What difference does it really make?” I finally decided to challenge my rebellion and see what happens when you start with cold, room temperature or warm ingredients. 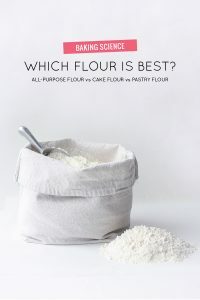 Which Flour Is Best?Our contributor, Summer Stone Polzel of Cake Paper Party, is back today with a new baking science experiment.... Flour is one of the most important ingredients in a cake recipe. It not only is the structural workhorse of a cake but provides important flavor and textural elements. Choosing the best flour for a cake recipe can be tricky. There are many options on the market and depending on where you are in the world, certain flours may or may not be available. Here I will try to clarify some of the differences between various types of wheat flours and show you how they translate to baked cakes. 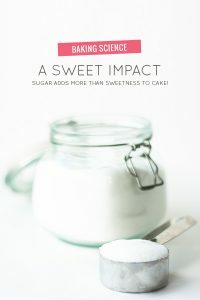 Sugar’s Impact on CakeSugar plays an important role in any cake recipe. Without the inclusion of sugar, a cake would be bland and uninspired in relation to flavor, but did you know that your cake would also be pale in color, squatty and dense? Sugar’s effects on cake are quite diverse. To really get a feel for the importance of sugar in a recipe, I baked cakes with anywhere from no sugar at all to one and a half times the standard sugar weight (2:3 sugar to flour). How does changing sugar volume affect your cake? Read ahead and you may be as surprised as I was by the results. 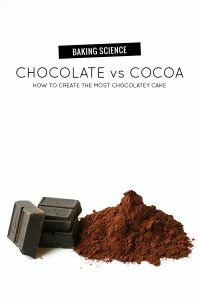 Chocolate vs. CocoaOur contributor, Summer Stone of Cake Paper Party, is back today with a new baking science experiment... Creating an ideal chocolate cake is a tall order. You must balance the texture and structure of a cake while maintaining a distinct chocolatey profile. For some time, I have been in search of a cake that boasts undeniable chocolate flavor, the kind of cake where you can close your eyes and tell, beyond a shadow of a doubt, that it is chocolate cake you are eating. To determine whether chocolate, cocoa or a combination creates the best flavor profile in a cake, I baked three separate cakes. 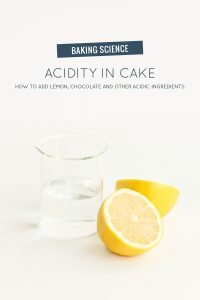 How to Bake with AlcoholOur contributor, Summer Stone of Cake Paper Party, is back today with a new baking science experiment.... The holiday season is upon us and we could all use a little inspiration for our wintry cake flavors. Alcoholic beverages add just the right flavor profile to warm up and dramatize the season’s best cakes. 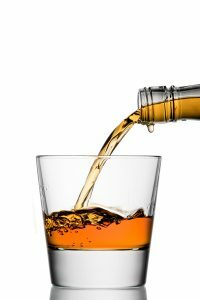 Forget the boozy, insipid fruitcakes that often come to mind this time of year and see how alcohol works as the perfect flavor enhancer you have been looking for. 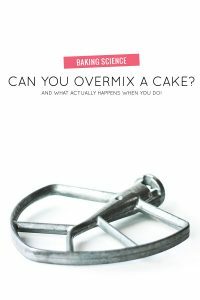 Can You Overmix A Cake?Our contributor, Summer Stone, is back today with a new baking science experiment.... A countless number of times I have read baking instructions to only mix a batter briefly to avoid toughening your baked good, but I have often wondered if this quip was fact or fiction when it came to whipping up a butter cake. In my experience, in the scientific lab within my kitchen, American-style butter cakes just don’t tend to toughen up, regardless of mixing time. For this reason, I assumed that mixing time would have little effect on the cake structure. To test my assumptions I mixed up a standard cake batter, either mixing just until blended (finishing by hand), for 5 minutes, or for a full 15 minutes before baking. When the cakes emerged from the oven, I was very surprised by the results and I think you will be too! Do Your Cupcakes Need A Rest?Our contributor, Summer Stone of Cake Paper Party, is back today with a new baking science experiment.... 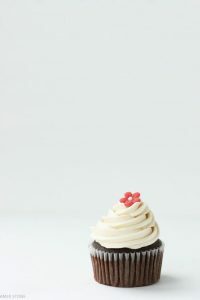 Some of my favorite cupcake recipes call for the batter to rest for a period of time before it is portioned into to tins and baked. In the past, I have dutifully followed these instructions in order to, presumably, garner the best result; but I started to wonder what exactly the benefits were and what the results would be if I baked the batter immediately after mixing. I decided to bake a round of cupcakes with increasing batter rest periods from zero to 40 minutes of rest and examine what the differences were. 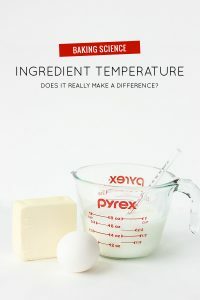 Baking Temperature ComparisonOur contributor, Summer Stone of Cake Paper Party, is back today with a new baking science experiment.... Have you ever wondered why most butter cakes are baked at 350ᵒ F? And why do cookbooks and baking authorities make such a fuss about making sure your oven temperature is accurate? What is it about that mystical number on the oven’s dial that makes it work so well for baking and what happens if, heaven forbid, your oven temperature is off? Let’s take a quick look at the effect of oven temperature on the baking process and how you can take control of the outcome of your baked goods with a little thermal know-how. 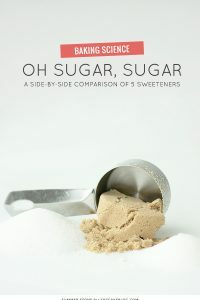 Oh Sugar, SugarOur contributor, Summer Stone of Cake Paper Party, is back today with a new baking science experiment.... Sweeteners play a critical role in any cake recipe. They not only impart the sweetness that makes a cake dessert fare but also have a hand in the structure and leavening processes. The most common sweetener in cakes is granulated sugar, but sometimes other choices are fitting for a particular recipe. Here we will take a look at how differing sweeteners affect the properties of a cake. The sweeteners I have chosen to use include granulated sugar, superfine granulated sugar, brown sugar, fructose and stevia. How Does Baking Powder Work?Our contributor, Summer Stone of Cake Paper Party, is back today with a new baking science experiment.... The difference between a dense pound cake and a fluffy butter cake is often a factor of leavening. 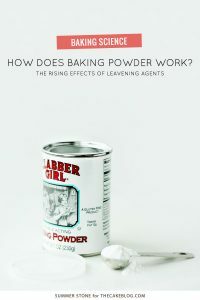 While chemical agents such as baking powder or baking soda play an important role in the leavening process, mechanical mechanisms as well as the physical makeup of the batter also contribute to the final structure of the cake. So what exactly is leavening? 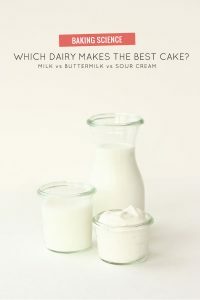 Which Dairy Makes the Best Cake?Our contributor, Summer Stone of Cake Paper Party, is back today with a new baking science experiment.... The liquid portion of a cake recipe can be easily overlooked as an insignificant ingredient but, it plays an important role in the character of the cake. In this segment I will take a look the differences in three different types of dairy products and how varying these will change the resulting cake. The three dairy products are whole milk, buttermilk and sour cream. Let’s delve in and see what changes happen and the properties that of the dairy items that lead to these changes. Mixing Up the Perfect CakeClassic cake making methods suggest that the first step in making a butter cake involves creaming together butter and sugar. Traditionally this was done with a wooden spoon and brute strength and required the baker to endure arduous sessions of beating. With today’s electric mixers, I wanted take a look at how much mixing was enough to achieve sufficient creaming and what would happen if you creamed too far. 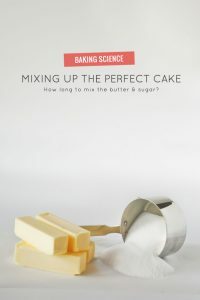 Mixing Up the Perfect Cake | Exactly how long to mix butter and sugar? | Baking Science article by Summer Stone for TheCakeBlog.com I started with a classic vanilla cake recipe and mixed the butter and sugar for either 1 minute on low, 3 minutes on medium-high or 6 minutes on medium-high. The differences in the butter-sugar combo were stark. 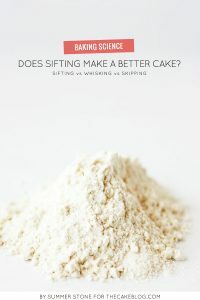 Does Sifting Make a Better Cake?Our contributor, Summer Stone of Cake Paper Party, is back today with a new baking science experiment. Join Summer as she challenges a traditional baking concept and shares her results. To sift or not to sift, that is the question. Most recipes call for either sifting or whisking together your dry ingredients before combining them with the other ingredients. I wanted to take a look at the necessity of these practices and see what types of differences these methods made, if any. Let’s take a quick look at how whisking and sifting affect dry ingredients. The image above illustrates the how whisking and sifting affect the texture of the flour. When flour is whisked, wires separate flour particles an aerate mixture. Similarly, when flour is sifted the grain particles are separated but to a much finer degree due to the close proximity of the wires in the mesh. As the flour falls from the sieve it becomes aerated. Whisked flour is slightly more smooth and uniform than flour that was unmixed and poured directly onto the board, but the texture of the sifted flour is incredibly fine and fluffy. 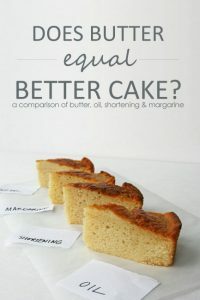 Fat Chance: Is Butter Really Better?Our friend Summer Stone is here to share some insight on how fat affects our cakes… determining once and for all if a butter cake is really a better cake. A comparison of butter, oil, shortening and margarine. Scooby-Doo! BirthdayScooby Dooby Doo, where are you? We need some help from you now... we have a mystery on our hands! 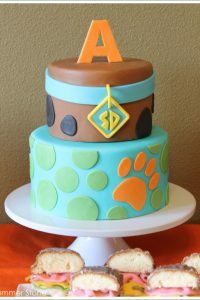 An awesome birthday adventure awaits Scooby-Doo and the gang of kids at this adorably creative party hosted by Summer Stone. 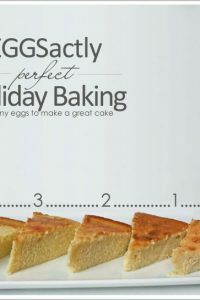 (You may remember Summer from the Fashion Fairytale Party we featured last August, and her Eggsactly Perfect baking article from last November). Today, Summer is back to inspire us once again with another incredible party and cake! From the hand-painted canvas backdrops to the sandwich cupcakes and adorable Scooby cake, this party is fan-tastic! Not to mention the mystery of the missing birthday presents. Zoinks! Check out this rad Scooby-Doo Birthday Party!